A mouthwatering selection of classic favourites to hold small children spellbound. 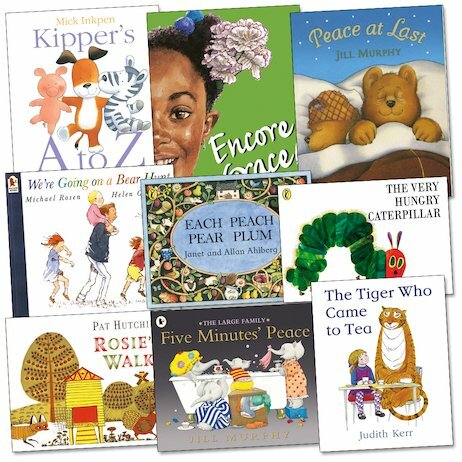 From Michael Rosen’s timeless We’re Going on a Bear Hunt to the adventures of Mick Inkpen’s bouncy puppy, Kipper, this pack shimmers with enchanting characters and stories. There are tales of family life, great adventures, narrow escapes, surprises – and (if you’re a very lucky little person) being visited by an actual tiger in The Tiger Who Came to Tea! Use this pack to delight every kind of reader in your class, whatever grabs their fancy and whatever mood they’re in.